Brussels is often at the end of our travel bucket lists, usually below Amsterdam, Barcelona and Lisbon. But, did you know that Brussels is one of the coolest places in Europe? You’ll find many trendy art galleries, fun bars, cosy (and cheap) restaurants and, of course, some of the best craft beers in the world. Oh, and did we mention the delicious waffles?! You HAVE to try at least one, (but, we bet that you’ll end up trying all the possible topping combinations) you can choose between chocolate, fruit, sugar, ice cream… The choice is endless. Once you’re done eating, explore the city and its architecture, it’s a perfect mix of historic and modern buildings, street-art and creative spaces. From famous traveller paths to hidden little treasures, you’ll need a good hostel as a base, so we’re here to share our favourites. Be ready, if you want to make the most of your trip to Brussels without blowing your travel budget, scroll down and have a look at the very best hostels in Brussels for an unforgettable stay. This is without any doubt one of the coolest hostels in Brussels. A street art mecca, with 20 artists from around Europe sharing their work across this hostel’s walls. Not to mention its unbeatable location, just 15 minutes from Grand Place and 2 minutes from Porte de Flandre. You can pretty much walk and wander through the centre in no time. When you’re done exploring the city, head back to the hostel and chill at the bar. It’s the perfect place to meet other travellers with a beer or playing pool. Last but not least, Meininger is a hostel with an environmental conscience, as it boasts carbon neutral operations. So, sleep even easier, knowing you’re leaving less of a footprint on your travels. Looking for a central location and cool atmosphere to make the most of your trip? This is it. Not only is it close to both the Central Station and North Station, it’s also just a few minutes away from popular spots like the Markt, Grand Place, Manneken Pis and the Botanic Gardens. With so much exploring ahead you’re going to need energy. Thankfully, you’ll be happy to know that the breakfast is FREE in this awesome hostel! In the evening head to the bar, grab a few beers with other travellers and enjoy the good vibes. What about trying a hostel with your other half? It’s the best way to get a perfect mix between the cool hostel atmosphere, the comfort of a private room and some romance too. This cosy hostel is in the heart of one of the cutest parts of town called “Botanique”, next to… the botanic gardens of course. The “Botanique” area is located in the 19th century part of the upper town which became Brussels’ centre of filmmakers and artists. Only a limited number of guests are welcomed at the same time, so book early if you can. This hostel is a real home, away from home, where you’ll experience the real “Belgian” lifestyle. If you’re looking for a safe place to leave your backpack while partying the whole night, we’ve got you covered. 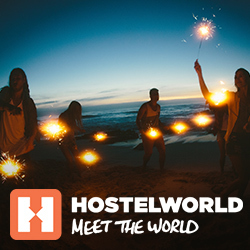 Have a look at these hostels and let’s start the party. This hostel is a great place to meet new people in a friendly and fun atmosphere. You will be right in the city centre, just a few steps away from all the restaurants, bars and clubs. You can party all night without having any trouble heading back to the hostel. Before going to bed make sure you enjoy the free hot drinks and cereals, perfect for a good night’s (day) sleep! Jacques Brel Youth Hostel is the perfect place if you’re looking to stay in a friendly and international atmosphere. Located just 10 minutes’ walk from the Grand Place, the Belgian Comic Centre, and so many more museums, art galleries and of course the nightlife. Just check the reviews and you’ll see this hostel’s ‘fabulous’ rating, meaning you’re likely to have the time of your life. Start the night at the hostel, where the friendly team organises concerts and many activities for travellers every day… Have fun! Let’s head straight to the most interesting parts: this cool hostel is famous for its international atmosphere and its animated bar (yesss). It’s perfect for improving your language skills, with a beer or two, before doing a pub crawl with travellers you met in the hostel. Yes, you’ll be just few minutes away from Brussels’ main bars and clubs. Cheers to that! You’re a travel addict but you would also like to keep some privacy while exploring the world? Don’t worry, these hostels have super cosy private rooms, just perfect for you. Whether you’re travelling on your own, with friends or with your other half, you’ll be able to have some privacy in one of the cosy and beautifully designed hostel rooms. There’s a TV, reading light, little desk, sofa to relax and beautiful view over the city… You might want to extend your stay a little longer. You couldn’t be more central with these hostels, even if you tried… Bars, clubs, restaurants, shops and main city sights – you will find everything a few minutes away from the hostel. This hostel couldn’t be in a better location in Brussels, it’s literally on the Grand Place, one of the most beautiful squares in Europe, in the heart of the historic medieval part of the city. You will find all the restaurants, pubs, snack bars and souvenir shops just a few meters away. This hostel is walking distance to The BOZAR, Magritte Museum (Royal Museums of Fine Arts), City Hall of Brussels, Atomium, Comic Strip Museum, BELvue (Museum), Manneken-Pis and Parlamentarium. It’s perfect to save money as you won’t need to pay for public transport. Not to mention, that you will get the best tips from the staff to make the most of your visit. Hostel Galia is in the heart of Brussels, in the neighbourhood of ‘Marolles’. You will find the famous Place du Jeu de Balle (flea market) a few steps away. Thursdays and Fridays are the best days to visit, so make sure you explore and you will find antiques, vintage clothes and other bargains. Did we also mention that the hostel breakfast is FREE?! Perfect to start your day the best way possible, before exploring Place du Sablon, Palais de Justice, the museum district, and the iconic Grand Place just 10 minutes walking distance from the hostel. In this hostel you will meet travellers from around the world in a friendly atmosphere. Check out the bar, board games, café and chilled common areas. This cool place is also in the heart of Brussels, near the canal, where you’ll find all the lively bars which serve some of the best crafts beers in town, before going to the The Saint-Géry area to party all night. If you had something more chilled in mind, like a shopping session, head to Sainte-Catherine district where you’ll find all the shops and local boutiques. Calling all train and beer lovers, this place was meant for you! Make yourself comfortable in one of the cosy cabin dorms and enjoy the view. Don’t forget to head to the hostel bar and try one (or two) craft beer while meeting other travellers. You can also chill in one of the cosy chesterfield sofas in the common area with a book – the perfect plan after a long day exploring the city. All aboard! We hope this guide helps you to discover the perfect hostels for your trip to Brussels. Let us know in the comments if you’ve stayed in one of our recommended hostels, or if you’d like to share a hostel that you think other backpackers shouldn’t miss.